Barre classes are a popular fitness craze that has gained a lot of traction over the past several years. As an effective way to build muscle, trim fat, and tone your core, there’s no wonder that this challenging but rewarding form of exercise has been embraced by the international fitness community. At Core Allegro, our barre classes in Arlington don’t just utilize your standard barre. Of course, we do incorporate the use of a barre, but master ballet teacher and professional dancer Olga Roberts has created an innovative and unique physical conditioning program that effectively combines elements of both traditional barre workouts and ballet fundamentals. Below, we’ll cover a few important things that newcomers should know about our ballet barre classes in Arlington. Let’s get started! What Can I Anticipate In The Ballet Barre Experience? As a unique combination of Pilates, dance, functional muscle training, and yoga, there’s really no other workout quite like a ballet barre class. Expect for your mind to be challenged just as much as your body. 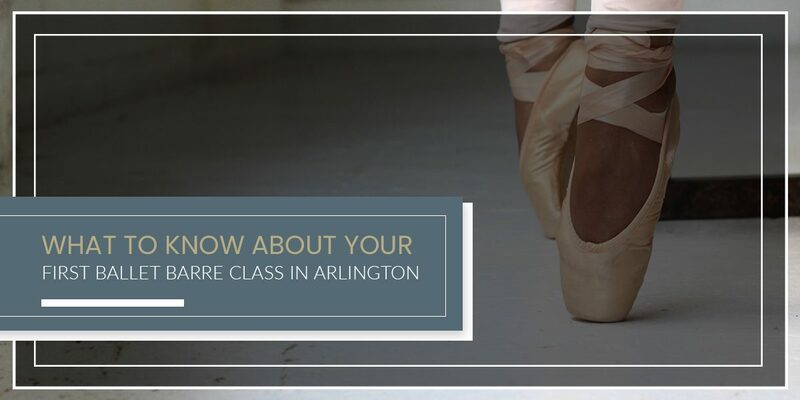 At our Arlington ballet barre classes, you’ll feel muscles that you didn’t think were there. You’ll attempt to center your mind while feeling a distinct deep muscle burn. Unlike other forms of exercise — namely, cardiovascular exercise — there won’t be any harsh impact on your joints. With the help of Olga Roberts and her expert instruction, you’ll burn hundreds of calories, sweat away your stress, and progressively work your way toward a much-desired ballet body. What Should I Wear To A Ballet Barre Class? Skip wearing any baggy or loose clothing. Instead, stick to workout tights and tight-fitting tank tops made with sweat-wicking materials. Your footwear choice is irrelevant because, unlike nearly any conventional gym, our Arlington ballet and Pilates studio is a shoe-free zone! No, not The Shining — we mean the literal shaking of your muscles. Though uncomfortable, your muscles shaking doesn’t mean that you’re going to fall apart. It just means that they’re reaching the point of fatigue, which is essential in strengthening them. By moving onto other muscle groups and giving fatigued muscles a chance to rest, they won’t get harmed. Like any form of exercise (or just existence in general), you’ll need to stay properly hydrated. We encourage you to bring your own water bottle, though we have our own water. Core Allegro also offers free Bevi filtered water/flavored sparkling water, which of course, has zero calories. Our ballet barre studio rooms are temperature-controlled, and we frequently turn up the heat to encourage more sweating. This makes hydration even more essential. Stop By Core Allegro Today For Ballet Barre Classes In Arlington! If you’ve been interested in building a hardened ballet body through the refined movements of ballet barre, Core Allegro is where you need to be. No previous experience is required to join us! Get in touch with our studio to stop by for a free tour of our facility, learn about new member specials, and more. Learn More About Our Eco-Friendly Ballet Studio Here!